Christmas is a time for giving, and we all enjoy the feeling of presenting someone with a gift we know they’ll love. Homemade gifts are often the best gifts we’ll receive – and that goes double if they’re chocolate. These chocolate gift ideas can be combined into a beautiful little hamper in just a few seconds. 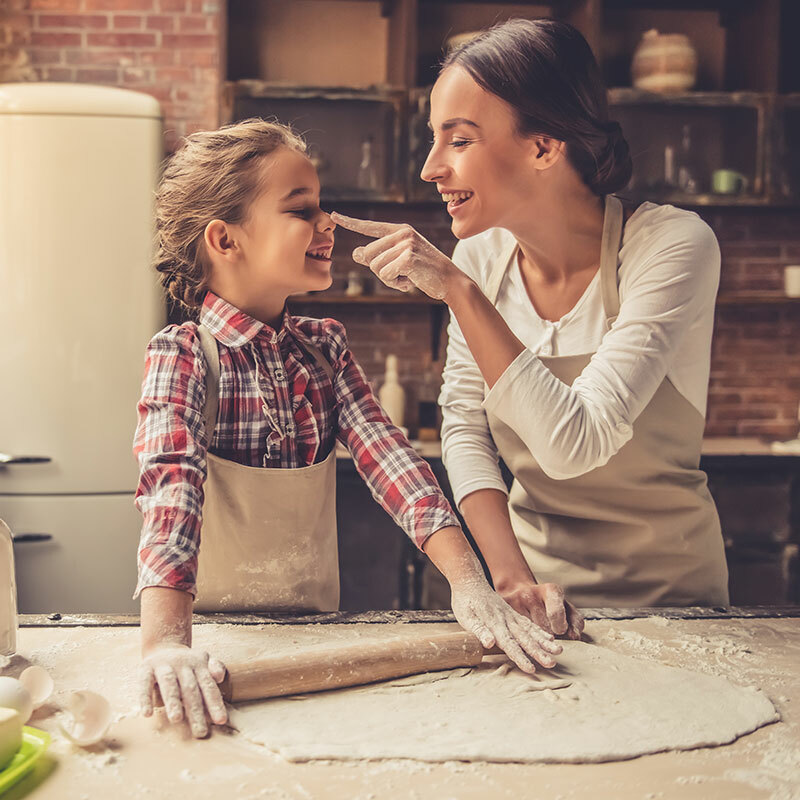 The recipients will love the handmade touch and the delicious treats inside, while your wallet will thank you for not spending big on each person. It’s really a win for everybody. Ganache-based chocolate truffles are a decadent treat that everyone loves, and they’re surprisingly easy to make as well. To add some variety to a bag of truffles, try portioning your ganache before refrigerating and adding flavours such as mint, vanilla or rum. You can also include crushed biscuits or nuts for a bit of crunch. Finally, try rolling them in a mixture of sprinkles, cocoa powder or desiccated coconut for some visual variety. Pretty much anyone who has ever baked has a go-to recipe for fudge or brownies. Whichever path you choose to go down (or both if you’re in the mood for a baking frenzy), little squares of fudgy goodness are a great way to break up the richness of your other treats. 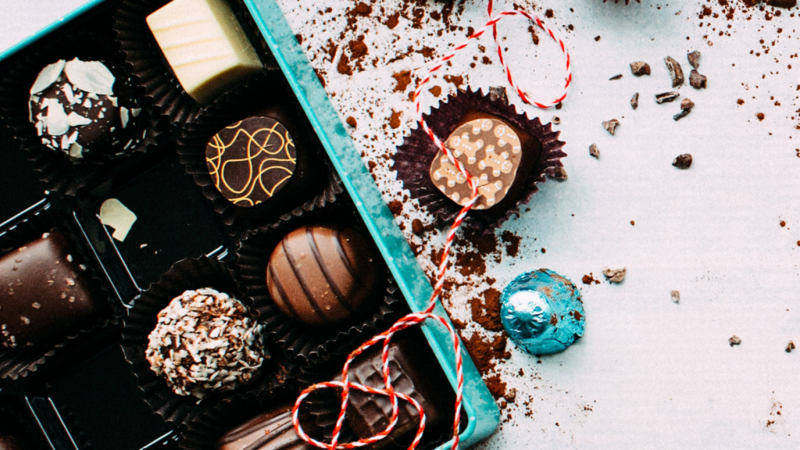 When preparing a hamper, it also helps to include a variety of shapes to make it great to look at, so chocolate squares will balance out the round truffles. What is chocolate bark, you ask? Quite simply, it is chocolate that has been melted, spread relatively thin and combined with your favourite toppings, before being reset again. The bark name comes from its appearance when you break it up into shards to eat or add to your hamper. You can use white, dark or milk chocolate for your bark – you can even combine them and marble the colours through for a real mixture of flavours. After melting your chocolate in a double boiler, pour it into a flat baking sheet lined in baking paper and smooth with a spatula to distribute evenly. While still melted you add your toppings. These can be anything your heart desires: nuts, biscuits, dried fruit, chilli, seeds, sea salt or even popcorn. Chop whatever you want to use into small pieces and sprinkle on top before popping your tray into the fridge. When completely set, simply break into pieces. The rough triangular shapes will be perfect to compliment the other shapes in your hamper. Once you have all your elements all you need to do is bring them all together. Find a delivery method – you can use traditional baskets, little cake boxes or even cardboard lolly bags – and pack them in. If you’re using open baskets, get some clear cellophane to hold it all together while still giving them a peek at the chocolatey goodness inside.